Build-A-Bear Workshop expanded on their DC Comics lineup today with the addition of a fast and fuzzy friend based on The Flash! "Straight from Central City and into your collection – it’s The Flash Bear! For the first time ever, you can race away on fun adventures with this cuddly Scarlet Speedster teddy bear by your side. 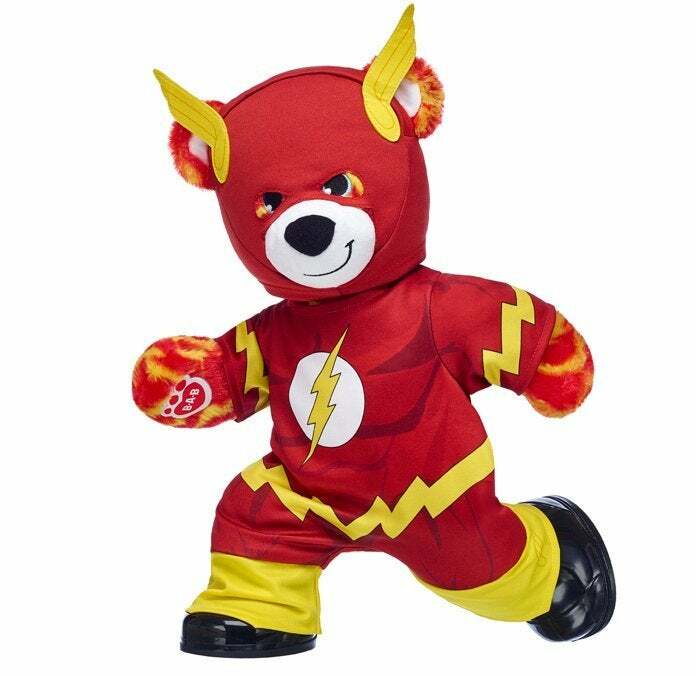 With The Flash Bear and its signature costume and shoes included, this epic stuffed animal gift set leaves all others in the dust. Experience the Speed Force with this action-packed furry friend today!" 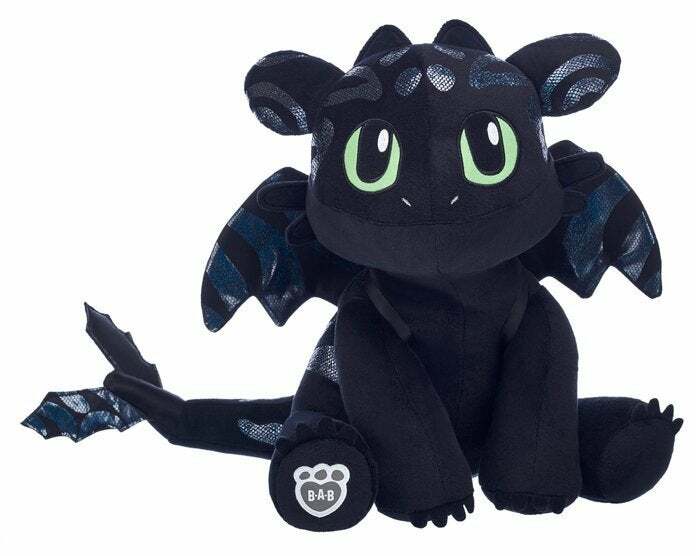 In related news, Build-A-Bear Workshop expanded on their How to Train Your Dragon: The Hidden World collection last week with a special edition Toothless plush with bioluminescent fur! Special Edition Hidden World Toothless - $35: Calling all dragon trainers! Soar to epic new heights with Special Edition Hidden World Toothless by your side! This special edition dragon stuffed animal's fur has a shiny dragon glow, making it a must-have for any collector. This one-of-a-kind dragon friend is the perfect way to celebrate the big-screen conclusion of the beloved movie trilogy! Toothless - $29: Ready to fly? Take off with your very own Toothless furry friend! With black fur and green eyes, this playful, loyal and intelligent dragon is ready to become your new BFF (Best Flying Friend)! You can even have more high-flying fun by adding a Toothless 6-in-1 Sound Chip to your dragon! Light Fury - $29: Fire up your imagination with Light Fury! With her long tail and white wings, this elusive and untamed dragon is ready to soar into your collection. Light Fury has sleek white fur, soft brown claws and light blue eyes. Add a Light Fury 6-in-1 Sound Chip to your dragon furry friend for more training fun!